The McKesson Specialty Health Customer Care Contact Center has been certified as a Center of Excellence by BenchmarkPortal for the Third Party Logistics (3PL) Service Title/Non-Title business. This marks the first time that the Customer Care Contact Center in LaVergne, Tennessee has received certification. The Center of Excellence recognition is one of the most prestigious and coveted awards in the customer service and support industry. 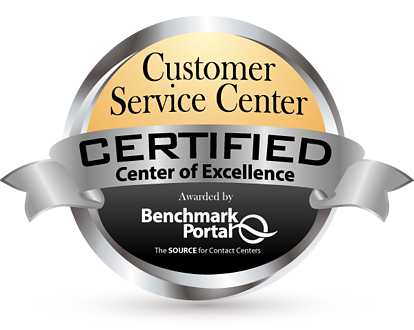 BenchmarkPortal uses a rigorous benchmarking process to award the Center of Excellence designation to customer service call centers that are ranked in the top ten percent of call centers surveyed. Call centers are judged against a balanced scorecard of metrics for efficiency and effectiveness drawn from the world’s largest database of quantitative data audited and validated by researchers from BenchmarkPortal. Call centers earn the award by demonstrating superior performance for both cost-related and quality-related metrics when compared to industry peers. McKesson Specialty Health supports successful pharmaceutical commercialization through third-party logistics support services. Supporting pharmaceutical manufacturer partners and key stakeholders with the careful coordination of their specialty products through the entire product life-cycle, McKesson 3PL Services provides pharmaceutical and biotech companies with a seamless service model for patient and customer ease of access. By combining McKesson’s long-standing distribution services’ success with pharmaceutical experience, McKesson 3PL Services help pharmaceutical manufacturers deliver products accurately and on time to hospitals, physician practices, pharmacies and medical clinics. Contact centers and their managers who wish to implement best practices and attain world-class performance in their industry have a unique opportunity to certify their call centers. BenchmarkPortal’s rigorous certification process has the advantage of referencing all performance goals to their best practice database of thousands of contact centers. Thus, contact centers will be held to performance levels that will improve their competitive position, not just force them to adhere to an arbitrary standard. Please follow the link to discover what the steps to certification are and how they will improve your center’s performance. www.benchmarkportal.com/call-center-certification.